1. Spotify for Apple Watch to debut at WWDC? 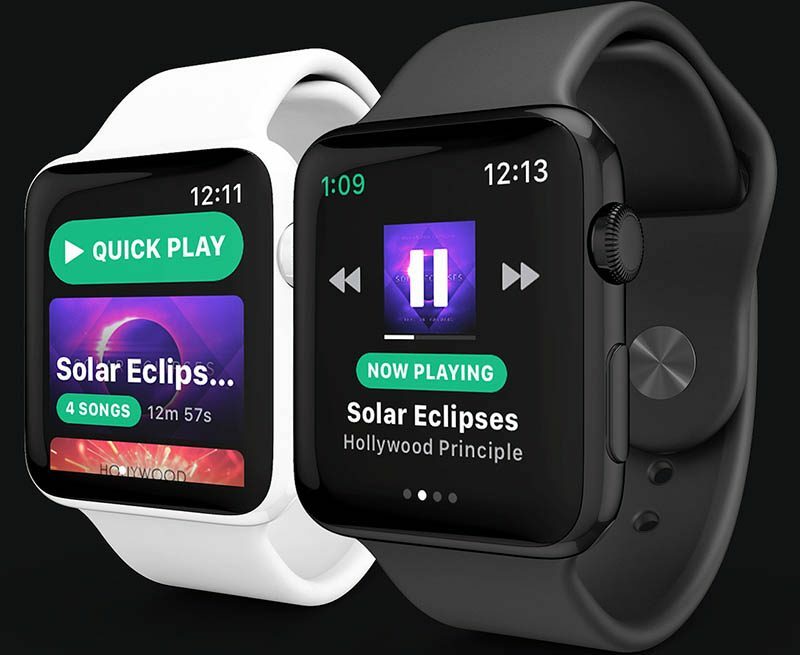 An anonymous and unverified tipster has informed MacRumors that Spotify will unveil an official Apple Watch app at WWDC 2018 in June, based on personal involvement with the project. The app will supposedly be a lead example of Apple's tentatively named StreamKit framework that will enable cellular Apple Watch models to receive push notifications from third-party apps like Facebook and Twitter, completely independent from a paired iPhone, on watchOS 5. 2. Are corporations that use Wikipedia giving back? Wikimedia's revenue chief Lisa Gruwell expresses some concerns about seemingly one-sided relationships with companies that utilize its information. "I don't mean to sound like the Lorax here," said Gruwell. "If you overuse something and you don’t give back to it, you can harm it. In the case of Alexa and Siri, our content gets intermediated. Wikipedia works because people can contribute to it, people can edit it. Also, once a year, when we ask people can donate. When they get their information not from us — but Wikipedia content through something like Siri or something like Alexa — that opportunity to either contribute back as an editor is broken, and that opportunity to contribute, to donate is also broken." Gruwell said Wikimedia's relationship with Google is by far the best, both in terms of how much they contribute to the organization—more than $1 million in the 2017 fiscal year—and how the companies work together. By comparison, Apple, Facebook, and Microsoft all contributed around $50,000 through their employee donation matching programs, while Amazon wasn't named on Wikimedia's list of donors in 2017 whatsoever. 3. MicroLED is the first new screen tech in a decade. Can it beat OLED? CNET's Geoffrey Morrison provides a detailed explanation of the advantages and technology behind microLED displays. Apple is reportedly developing its own microLED displays, but we're likely at least a few years away from seeing them in an Apple Watch or iPhone. Interview: Apple logo creator Rob Janoff on making timeless work, fielding criticism, and what makes a good designer: 9to5Mac's Michael Steeber interviews Rob Janoff, who designed the classic six-color Apple logo in 1977. Janoff was also interviewed by Forbes contributor Will Burns, ahead of a design-related event he is headlining on March 28. Spotify for Apple Watch being debuted at WWDC would be one of the biggest Apple news stories in years. Not sure why it’s being forced into a recap like this. Apple really should contribute more to Wikipedia, and also add better parsing ability to Siri. As much as I'd love to personally see a Spotify watchOS app, I can't see Apple actively promoting the closest competitor to Apple Music at their own event. Perhaps for the first generation Apple Watch, but for Series 3, there’s hardly anything slow on that Apple Watch with the faster dual core processor. I'm going to be so pissed if Spotify puts out an Apple Watch app before an Apple TV app. And I own both. Apple is absolutely not going to use THEIR conference to make a big stage announcement about a competing music subscription service. They may release it on the same day or even feature it in one of the panels, but even that’s unlikely. Shame on those tech companies who don’t at least donate directly to Wikipedia in addition to encouraging employee donations! Apple and Amazon specifically. They do profit from Siri and Alexa having the ability to query Wikipedia. At a minimum Apple should work with Wikipedia to allow users to donate with Apple Pay and Amazon should work with them to allow users to donate with One Click at no cost to Wikipedia. I figured Apple was doing more behind the scenes to help them out and I was surprised I still couldn’t donate with Apple Pay when they had their last fund raiser. I would be really surprised to see Apple demo a Spotify app at an Apple event. So is Apple going to finally announce a media domain for Siri at WWDC?